Et pour prouver que vous n'êtes pas un robot : 1 plus 1 = ? Gilles Gilbert Camille Lyon - son Livre d'or ! Gilbert, dit Gilles (Camille) LYON (b. 1921) was born in Mulhouse, a city of the Haut-Rhin, an Alsatian department in France. His father had been a lawyer and legal counselor of the French Ministry of Foreign Affairs. His mother belonged to an Alsatian family of industrialists. He attended high school in Paris. Lyon started medical school in Paris (which includes college in continental Europe) in 1940 and two years later attempted to apply for the Externat des Hôpitaux, a rotating internship for the best young medical students, awarded on a competitive basis. However, he was prevented from applying to the Externat by the "laws of exception" promulgated by the Vichy government against those of Jewish origin. In February 1943 he crossed the Spanish border and, upon reaching England, volunteered for the Forces Françaises Libres (FFL) of General Charles de Gaulle. He spent one year at Ribbesford in the military school of the FFL. As a lieutenant, Lyon served in the Second Armoured Division (the famous "Seconde D.B." of General Leclerc) until the Liberation and received the French War Cross. Lyon resumed his medical training after the war. As was the custom in France for the best students, medical school was combined with an internship (« externat ») and afterwards, a residency program (« internat »). Among the chiefs who had an important impact on his training and career were Raymond Garcin at the Hôpital de la Salpêtrière, Julien Marie and Robert Debre at the Hôpital des Enfants Malades, and Stéphane Thieffry at the Hôpital des Enfants Malades and later at the Hôpital des Enfants Assistés (also called the Hôpital Saint Vincent de Paul). He graduated with a doctorate in medicine and at the same time as a licensed pediatrician in 1955 from the University of Paris. It was the tradition in France to delay the official graduation as M.D. until completion of both residency and specialty training. Lyon graduated three years later than many of his high school classmates, due to his service in the army during the war. Several persons familiar with events at that time led me to understand that the postwar medical establishment did not treat former young members of the Resistance with special attention and sometimes "penalized" them by not taking into account for the age limit of the "concours," the time spent in the army. His thesis was entitled "Contribution à l'étude des hémiplégies survenant au cours des premiers mois de la vie" ("Contribution on the Study of Hemiplegia Following the First Months of Life"). This early publication displayed many of the qualities of his subsequent works: a comprehensive examination of the material, deliberate in thought, original, and written in a style that was extremely concise and clear. After publication, he disdained any effort to advertise his own publications in the professional community turned his mind to his current work. 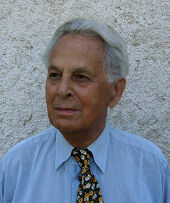 The quality of his thesis, a model of clinical research, was recognized by the 1956 Thesis Award of the French National Academy of Medicine and later by publication in the international literature (Lyon, 1961).